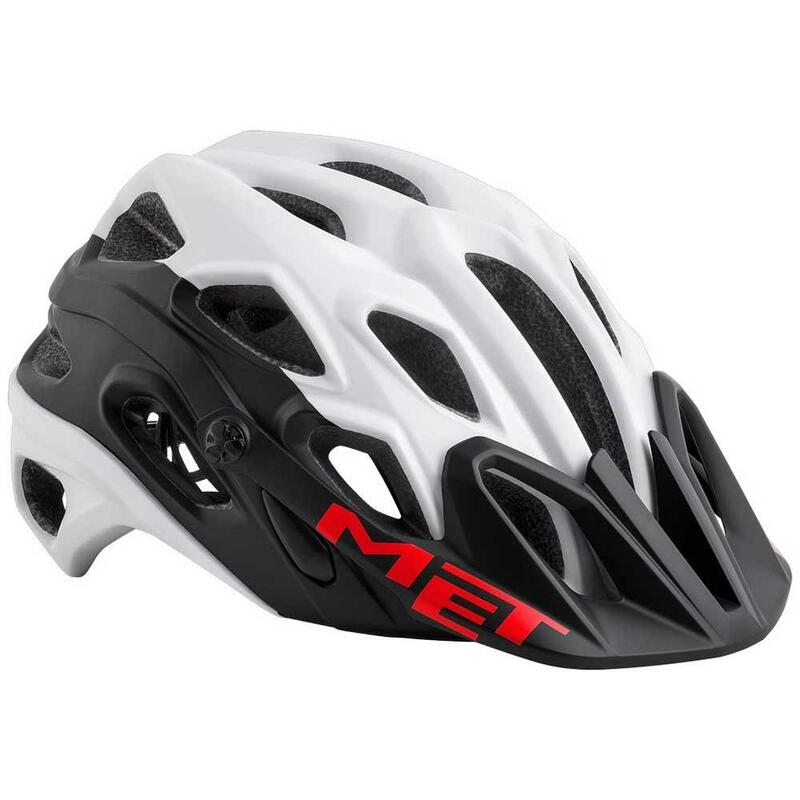 The met Lupo is one of the best models of helmets that the prestigious brand MET has brought out for sale and a great novelty of the . This helmet model has been designed to meet the expectations of the Mountain bike riders thus offering them an element that keeps them protected and safe during the outings with the bike. This helmet will provide the cyclist with a great comfort as in addition to the interior pads, it has an excellent ventilation system. The new model Mountain bike helmet Lupo developed by the brand MET, is one of the best we can currently find in the market. The helmet MET Lupo, is a model of very stable helmet shell that will guarantee the cyclist the best ventilation during the outings with the bicycle. The helmet shell structure has been manufactured using In-Mold technology, which means that it will be a hardtail and shock-resistant model and that the protection towards the rider will be superior. The Safe-T Advanced clamping system will keep the helmet in place for increased safety and has rear shock s on the inside to help make the rider more comfortable. The helmet shell adjustment system has different contact points that will help dissipate the impact energy, as well as the helmet shell pressure. This helmet model is compatible with goggles or goggle. The MET Lupo Helmet features high-quality Kevlar strap s and an adjustable visor. The new MET Lupo helmet has a frontal foam that counts or a great capacity of aeration.